Alton stands to gain $3,778,054 in new revenue. Find out more about what Alton plans to do with their revenue. Bethalto stands to gain $1,463,612 in new revenue. Find out more about what Bethalto plans to do with their revenue. Collinsville stands to gain $3,311,714 in new revenue. Find out more about what Collinsville plans to do with their revenue. East Alton stands to gain $504,325 in new revenue. Find out more about what East Alton plans to do with their revenue. East Alton-Wood River stands to gain $324,719 in new revenue. Find out more about what East Alton-Wood River plans to do with their revenue. Edwardsville stands to gain $4,499,672 in new revenue. Find out more about what Edwardsville plans to do with their revenue. Granite City stands to gain $3,660,518 in new revenue. Find out more about what Granite City plans to do with the revenue. Highland stands to gain $1,639,659 in new revenue. Find out more about what Highland plans to do with the revenue. Madison stands to gain $406,790 in new revenue. 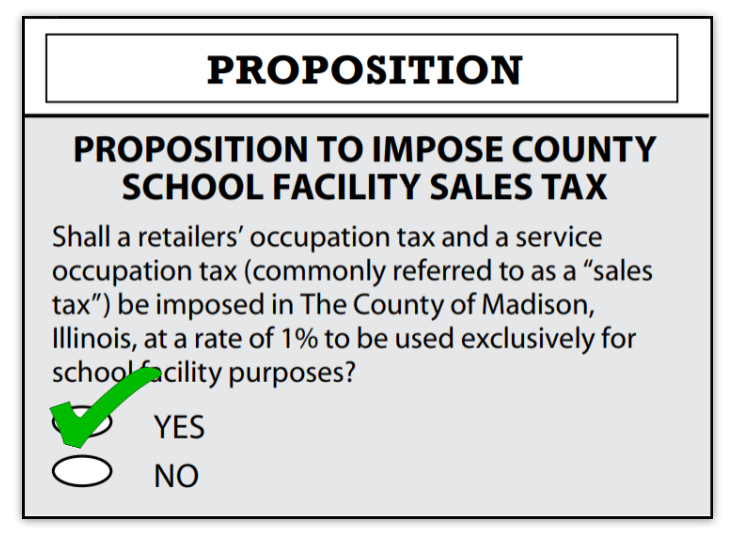 Find out more about what Madison plans to do with that revenue. Roxana stands to gain $1,134,136 in new revenue. Find out more about what Roxana plans to do with that revenue. Triad stands to gain $2,199,879 in new revenue. Find out more about what Triad plans to do with that revenue. Venice stands to gain $34,494 in new revenue. Find out more about what Venice plans to do with that revenue. Wood River-Hartford stands to gain $444,258 in new revenue. Find out more about what Wood River-Hartford plans to do with that revenue.